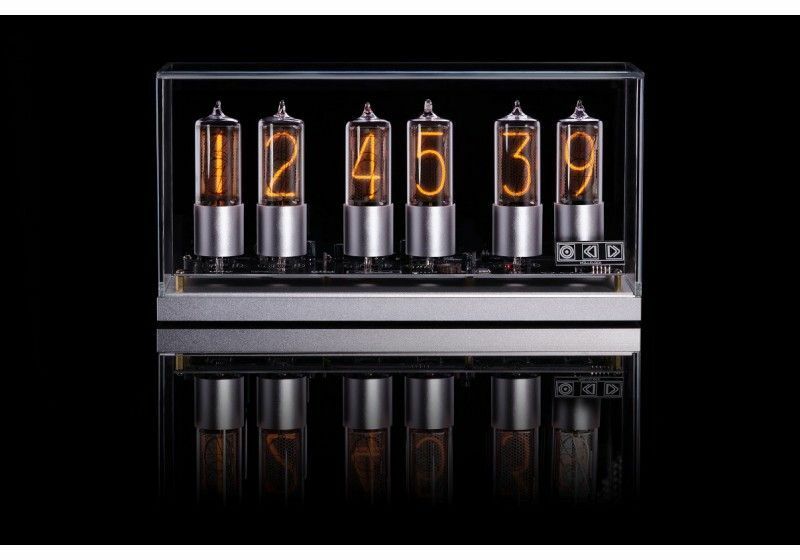 Nixie tube clock is a real dream for collectors and those who want to be wrapped in the 1970s with that particular spirit. 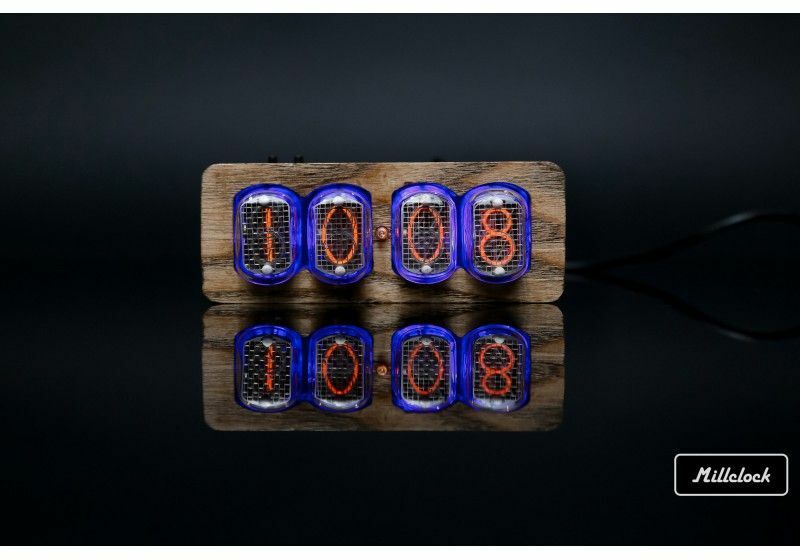 The neon digits are a blast from the past which is very popular today. 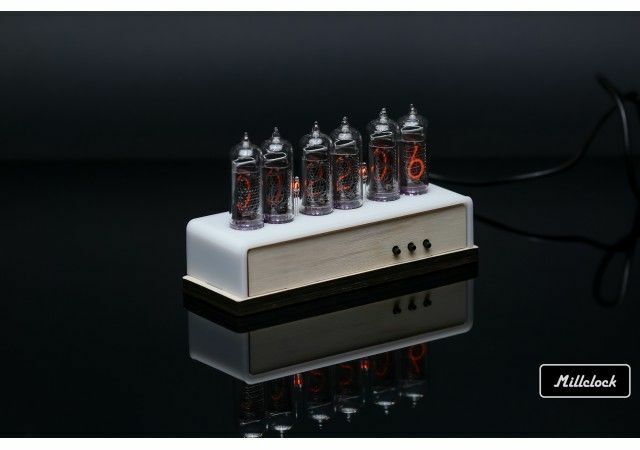 Nixie tube clock is a real dream for collectors and those who want to be wrapped in the 1970s with that particular spirit. 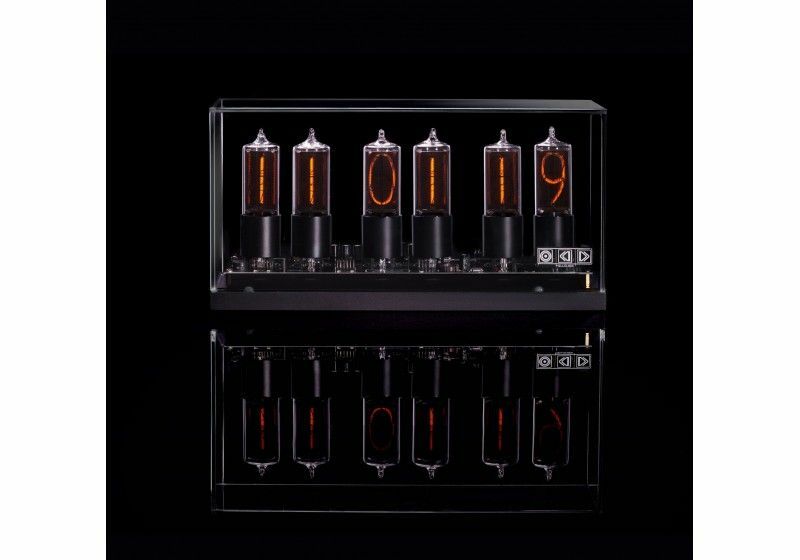 The neon digits are a blast from the past which is very popular today. This is a perfect indicator of your private space including home and office. Just express yourself with such a distinctive detail! 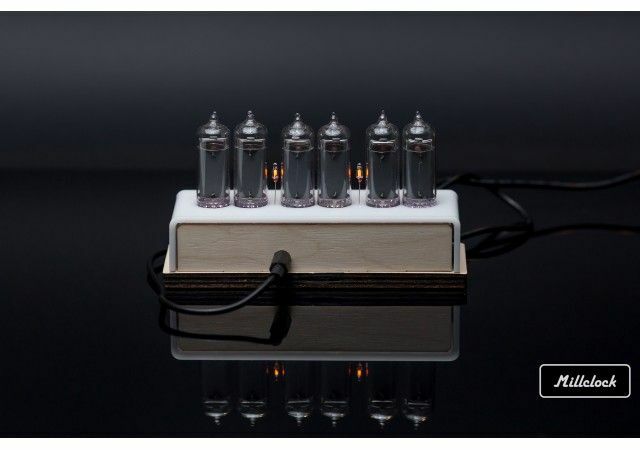 The model is marketed with wood enclosure. 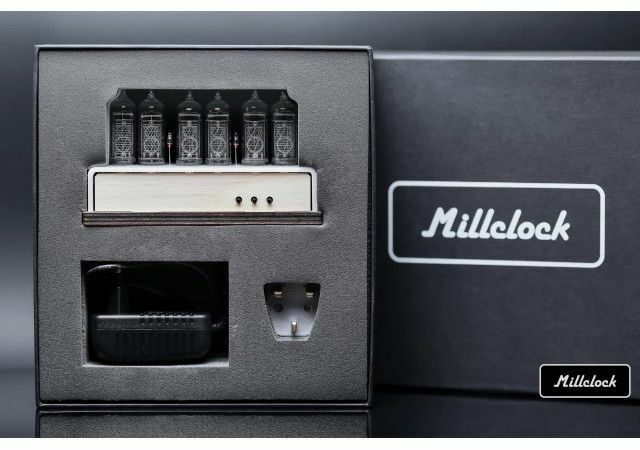 It is produced in Ukraine as well as all the products of Millclock. You can forget about being in fuss or in hurry. Here you have the alarm function which helps you to be in time whenever you need it. Besides, you should not concern about the summer and winter time change – the clock will be adjusted automatically when the moment comes. 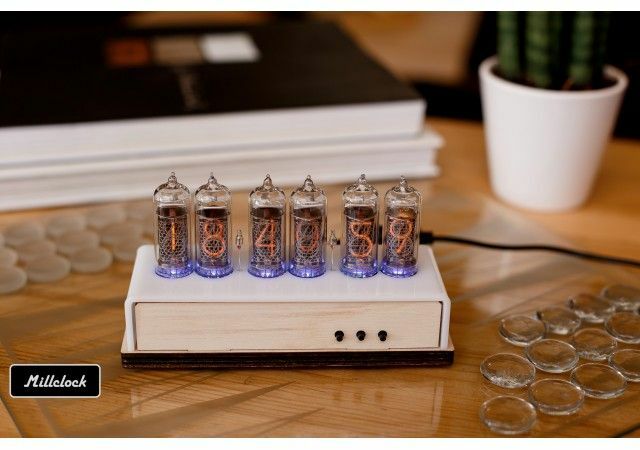 The design of the clock in milk acryl is very beautiful but you can make it even more interesting changing the brightness and color of backlight. And do not think of difficulties with plug in because you’ll get your country adapter completed with the clock. 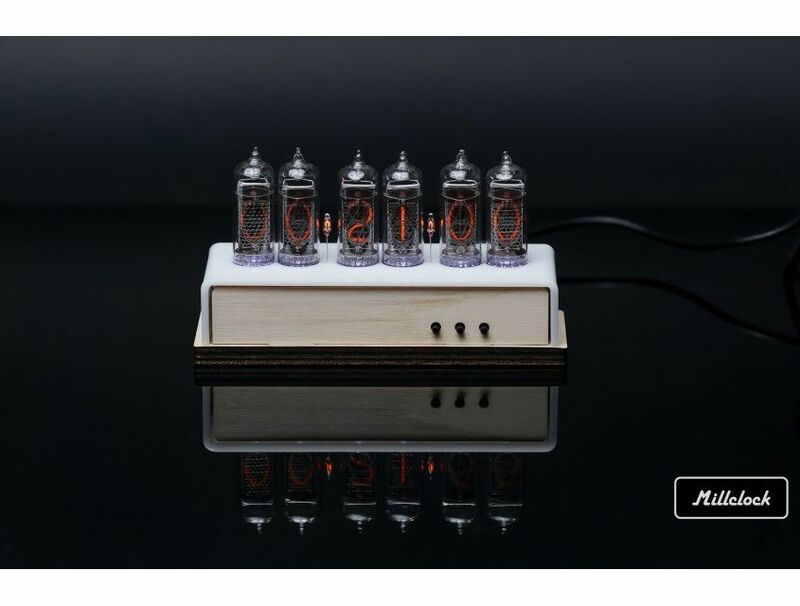 The alternative solution is replaceable CR1220 batteries which last for a rather long time, so take it with you for the journey but mind that tubes are fragile. • Reliability of the accessory with 1 year warranty for electronics details. • Fast and accurate delivery to any place of the world vie airmail. • A range of payment options convenient for any conditions. • The service life during 5 years. 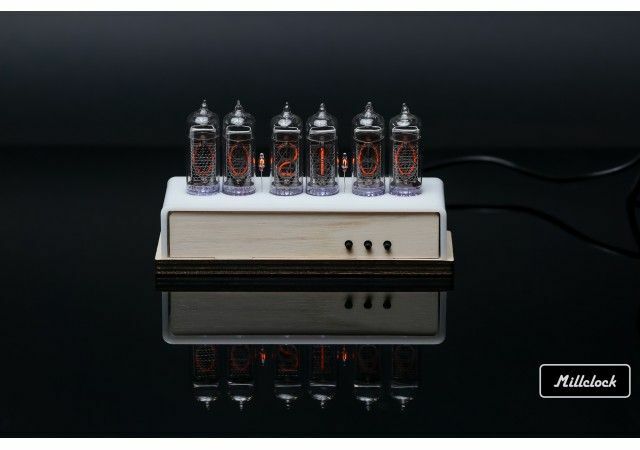 If you want to buy the nixie tube clock at the lowest price, turn to us and buy it right now. 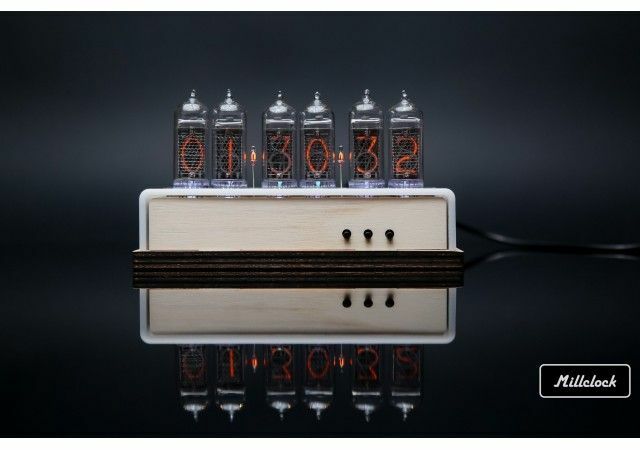 Die Ziffern der Uhr sehen super aus und sie funktioniert auch einwandfrei. Der "Unterbau" ist aber ziemlich popelig und das viele Geld nicht wert. Sie war ein Geschenk f?r meinen Sohn und er findet sie gut.